We offer a variety of meaningful and exciting ways for women to come together to meet and grow in their relationships with Jesus. Join us for Special Events, Small Group Studies and Fellowship Groups that will encourage your faith & strengthen your walk. Join us this summer for one or many of these engaging workshops. This workshop will give you a taste of our Tuesday evening FaithFellowshipFitness Group which offers a variety of workouts including circuit training, cardio, DVD’s, walking, yoga, and flexibility for all fitness levels. Bring a yoga mat if you have one, a water bottle, and enthusiasm! We all have stories that only we can tell. Maybe you’ve been dreaming of sharing your story in a book, in a blog, on a stage, or even a podcast! Or maybe you’re interested in capturing your story to pass along to your grandchildren one day. No matter what your ambition, you need a place a start. Journaling is a valuable practice that many of us have good intentions of keeping yet struggle to maintain. Get tips and tools for starting and staying at it from a long time journaler. Bring your Bible and a fresh journal or one you’ve started. These equipping tools can help anyone learn how to study the Bible for themselves. Learn the tools, dig into the Scripture together, and walk away with step by step examples applied to a gospel passage. The Enneagram is a personality typing system that helps you discover the inner motivations behind the ways you think, act and feel. These insights help us break free from fear and shame about who we are and experience the freedom of the love of Christ. We will introduce the nine different Enneagram types and help determine which one you identify with most. This workshop is a fun and creative approach to retirement that focuses on planning for the non-financial aspects of it. Learn how to make your retirement a time of life that is truly meaningful, answer the three most powerful retirement questions that will change it forever, reintegrate yourself, prepare for important conversations to strengthen your relationships, and develop wellness habits for your body, mind, and spirit. Join us for a one hour workshop delving into the beauty of God’s creation. Explore the history and traditional uses of essential oils in the Bible as well as modern-day wellness practices. Class includes an essential oil rollerball take away. How do we create in the presence of God and respond to Him through art? Are you feeling joyful? Angry? Stagnant? Peaceful? Come as you are and spend an evening being guided through an “art as therapy” approach to reflect, respond, and create in worship to God using collage and paint. You will leave with a piece of art unique to you and your walk with God. No art experience required! Come learn some basic flower arranging techniques that will help you transform your grocery store bouquets into unique and beautiful designs. Class includes practice and a take home arrangement you create. Vases, tools, and flowers will be provided. Join us for an hour of faith, fellowship and fitness. This class offers a variety of workouts including circuit training, cardio, DVD’s, walking, yoga, and flexibility for all fitness levels. Bring a yoga mat if you have one, a water bottle, and enthusiasm! It’s a great way to make some new friends too! For more information, email Wilma wjustice@ameritech.net or Debbie dbgperry@gmail.com. Do you knit or crochet? Would you love to learn a creative new skill and enjoy small group dynamics? Come share life and ministry with other women as we prayerful make blankets and shawls for those sick and grieving, baby booties for PDHC, baby blankets for child dedications, and scarves for young women. John MacArthur takes readers through the book of Ephesians, exploring Paul’s teachings on our continual need for God’s help and the blessings we have received in Christ. Run for God – the 5K Challenge is a guide to running and a twelve-week training plan aimed at running a 5K, but with a Christian focus. Author Mitchell Hollis introduces runners to the similarities between running and witnessing for Christ. Run for God is designed for all levels of runners, even those who have never run. MOPs is a dynamic internationally recognized program that brings mothers of young children together for mutual support, enrichment and encouragement through the joys and challenges of raising kids. Children’s programming provided through Adventure Camp. A children’s ministry to support women in Thursday morning bible studies and MOPs. Your children must be registered in order to attend as space is limited. Registration is full. Please click the button to join the waitlist. 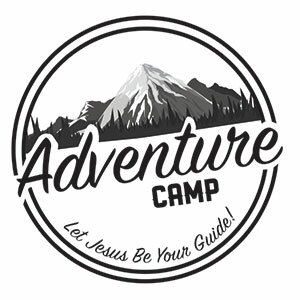 Take kids on a safari adventure this summer to discover Biblical truths that excite and challenge them at “Adventure Camp.” Come be a part of an adventure that makes a lasting impact on kids as they learn what it means to follow Christ. Consider serving on a bi-weekly rotation. Please contact Allison DeVelvis for more information.